April 2015 – San Diego (USA). 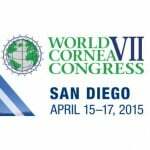 At the World Cornea Congress the results of different keratoconus’ Cross-Linking technics have been discussed. Cross-linking is a cornea’s treatment for patients with keratoconus. The main purpose of this treatment is improve the links between collagen’s molecules of the cornea. The treatment can be done with EPI-OFF technic (removing corneal epithelium) or with EPI-ON technic (corneal epithelium isn’t removed). At San Diego was show how the EPI-ON technic(transepithelial Cross-Linking) is less powerful than EPI-OFF (keratoconus Cross-Linking). The advantage of EPI-ON technique is less discomfort than the one experienced with an intact corneal epithelium. Studies showed at San Diego demonstrated that EPI-ON technique enforces only the superficial part of the cornea, contrarily, Cross-linking treatment is deeper and able to stop Keratoconus’ progression. This result is less common with Cross-Linking EPI-ON technique. After two stem cell transplants for non-Hodgkin lymphoma, I had a cutaneous and a eye rejection, with corneal ulcers in both eyes and a corneal perforation in the left eye. I underwent 14 operations at other facilitie... Keep on reading this reviews and contacted 8 well-known Italian professors, but all my hope was gone as everybody refused to perform surgery, because of the seriousness of my problem (1/20 in the right eye, nothing in the left: I was almost blind!). The only one who give me a good advice was a dear doctor who suggest me to talk to Dr. Badalà, because he could perform a Boston Keratoprosthesis, that she considered my only chance to recover a few dioptres. After the visit, Dr. Badalà proposed me a corneal transplant. I underwent the transplant on Dec. 4, 2014, in Milan and was followed by Dr. Badalà and his fantastic team. After surgery, which lasted 3 hours and a half under general anesthesia, I felt as if nothing had happened: no eye pain and no discomfort due to anesthesia. I give top marks to surgery and clinic! I was discharged after just one night without any problem. After surgery, for about ten days I did frequent follow ups, than one every 15 days and after that one every month. Now,while I’m waiting for removing the stitches and reopening eyelids, I’m following the treatment given by Dr. Badalà and I can see the light through the slot left for the dressing! For me it is a great progress and I thank the only one who took charge of this delicate problem. Besides being an excellent doctor, Dr. Badalà is a person with whom you can speak freely, as you talk with friends, he made me feel at home and he was always available for any explanation.